I'm excited for the upcoming holidays. Christmas is one of my absolute favorite holidays. The preparations, the quality time with family, the lights and the decorations and, of course, the chance to dress up. Acouple of days ago we went to the studio to get the annual Christmas-card photo shoot out of the way. The kids were having fun and we came with lots of outfit options so whole thing soon turned into a dress-up party. I have so many great photos but my favorites were the Bordeaux red and dark blue party outfits from Danish kids brand Mini A Ture. I just have to show you a few of the pics. My ultimate favorite foursome all did good. Naya, Zoe, little Melia and the kid himself. But the seasoned studio veterans Willem and Naya aced it as always. 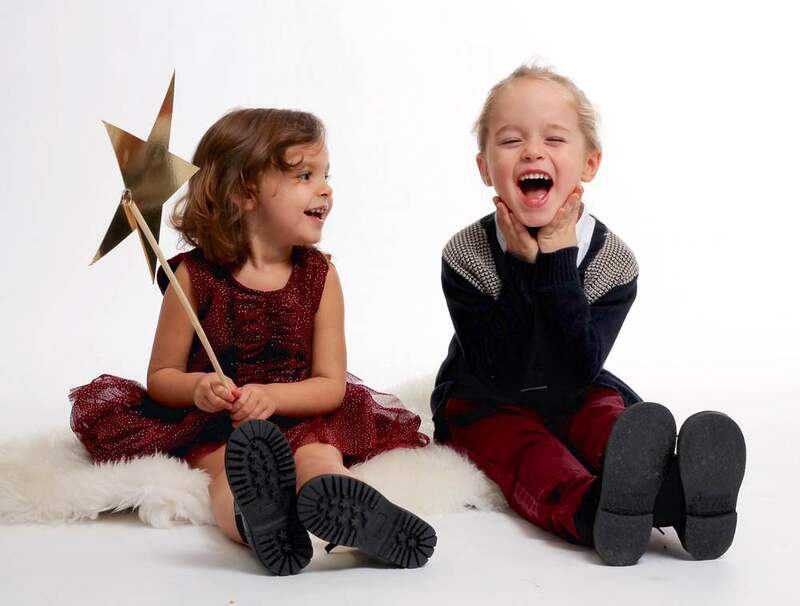 The Bordeaux red in this year's Mini A Ture Christmas line is beautiful and the pants that Willem wore just really complemented Naya's dress. Look at them under that mistletoe... It's honestly too cute for words.